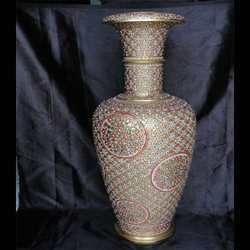 Avail from us an exquisite collection of Marble Vases designed under the supervision of a skilled team of designers. 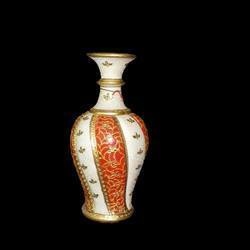 The range of Marble Vases manufactured by us is perfect for interior decor for it adds a stroke of sophistication to the interiors. 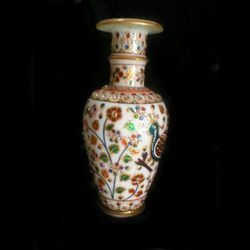 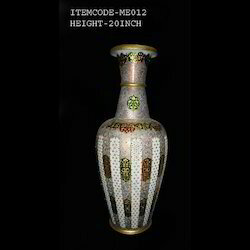 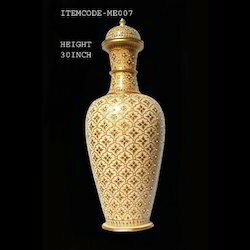 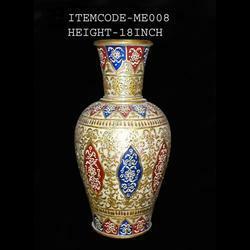 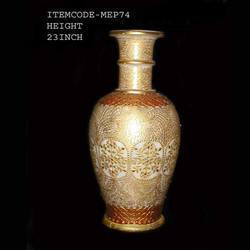 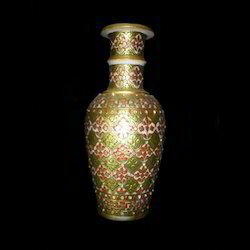 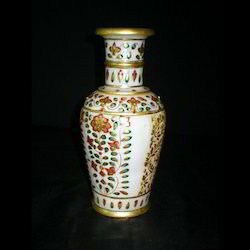 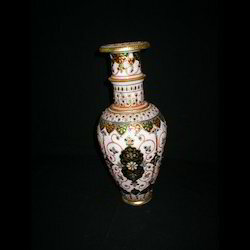 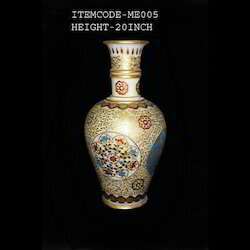 The unique design of the Marble Vase with gold inlay is widely applauded by the global clientele.We provide ample variety of container, vases and flower decorated jars for clients. 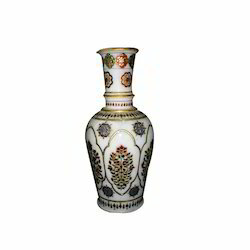 Our company has established itself as a leading manufacturer, supplier and wholesaler of superior quality Decorative Marble Vases in the market at present. 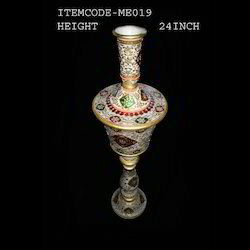 Designed with utter precision, the offered vase is crafted by using quality-assured marble, material, and high-end technology by our creative designers in sync with set international norms. 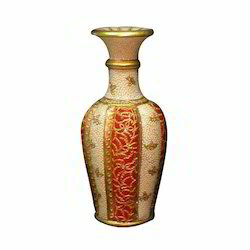 Broadly used in a number of household and industrial applications, the offered vase can be availed from us at pocket-friendly prices. 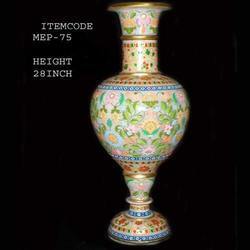 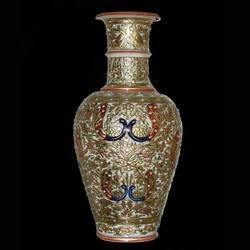 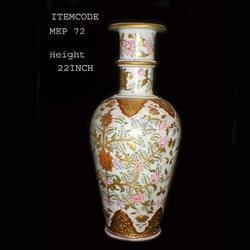 In the field of manufacturing, wholesaling and supplying, our company offers supreme quality Decorative Marble Vases. 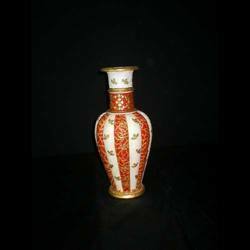 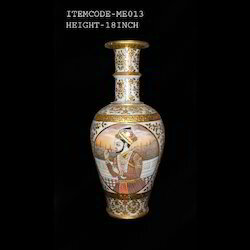 Our adept and seasoned professionals are highly competent in designing a broad assortment of the decorative vase in strictly adhering to the industry quality standards. 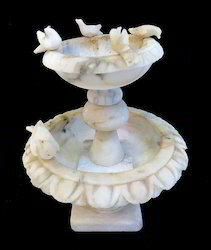 The flawless designing on the standard-quality marble exhibits our mastery in crafting the same. 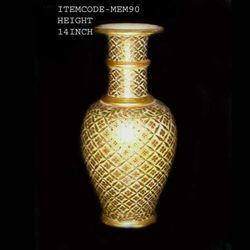 Extensively used across the globe, it is made available at reasonable rate. 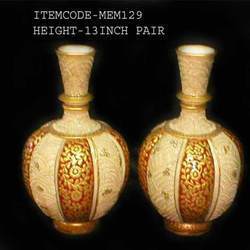 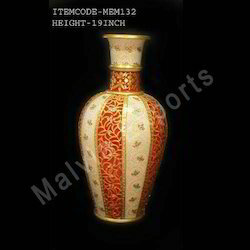 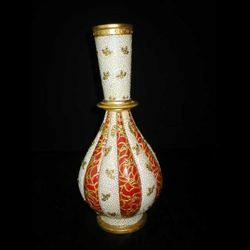 Designer Marble Vases offered are made available by us under item code MEM-126 and comprise artistically crafted vases done using red and white Kali flowers. 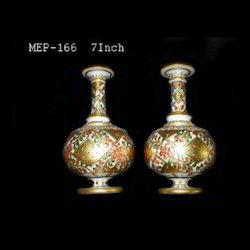 These beautifully decorated jars are made available by us in 23k gold leaf finish with hard paste of limestone embossed on marble surface for crafting purposes. 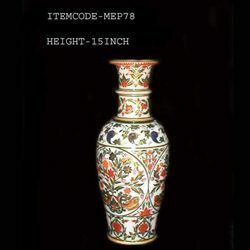 Made available in sizes of 11" in height, these exclusive artwork pieces are perfect for interior décor. 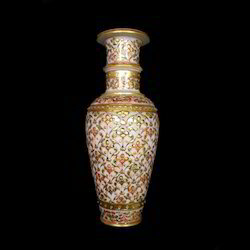 As an ace manufacturer, supplier and wholesaler of Decorative Marble Vase, we have marked our name very strongly in the market. 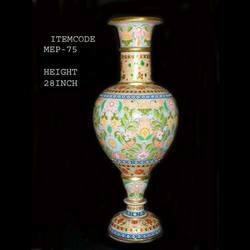 An offered vase is beautifully designed by our talented craftsmen with the usage of attractive colors and beautiful marble material. 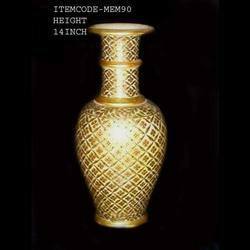 Apart from this, the provided product is made available in countless sizes, colors, patterns, and designs so as to meet diverse needs of our clients and provides an appealing look to numerous furnishing products and others. 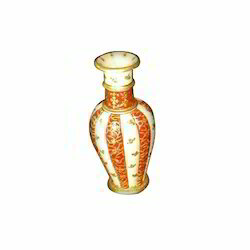 We are manufacturing, a comprehensive assortment of Bird Feeder. 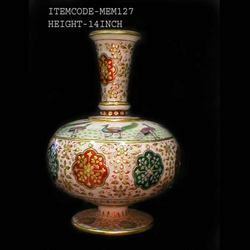 we are engaged in offering a beautiful collection of Designer Marble Pots to our clients. 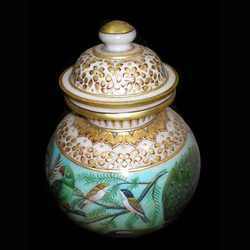 The major attraction of these pots is that they are hand carved and are available with a close lid. 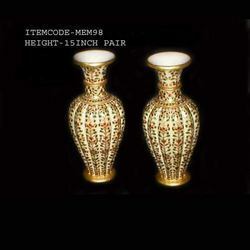 In order to suit the ever-changing needs of our clients, we offer these pots in various designs. 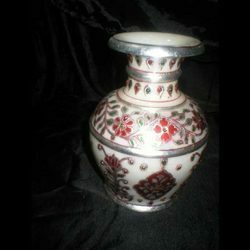 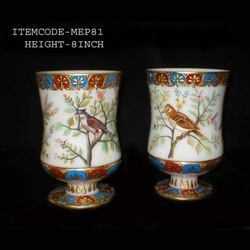 These Marble Pots can be given as a gift at some special event or occasion. 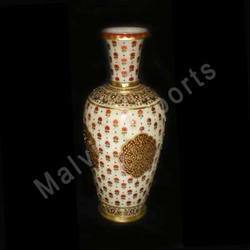 Marble Vases offered are made available by us and comprises beautifully done up marble jars/vases that feature intricate artwork. 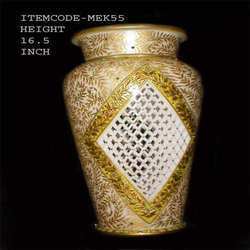 Marble Vases offered are made available by us and comprises beautifully done up marble jars/vases that feature intricate artwork in design that comes embossed with the mixture of plaster as well as adhesive and is painted with oil colors.